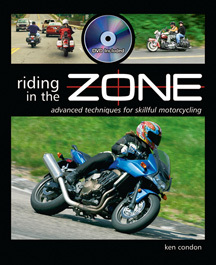 This is the eBook (PDF) version of Riding in the Zone. You will be able to download the PDF Book after purchase. You will also get the web page link to access the accompanying VIDEO using the provided password. Currently, the hard copy of Riding in the Zone is SOLD OUT. I will know in the coming weeks whether the publisher is planning to print more. But, even if they do decide to reprint them, it will take months for them to become available. Stay tuned. CLICK HERE to be put on the waiting list. I will let you know as soon as copies become available. 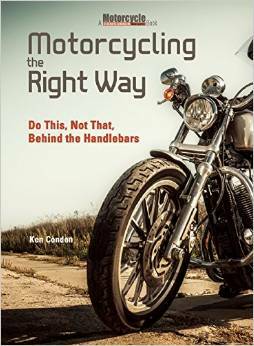 My other book, “Motorcycling the Right Way” is available in paperback Buy it HERE. You can also buy it as a Kindle book on Amazon, HERE. This 143 page full color book includes a 30 minute Video with parking lot drills to advance your riding ability.